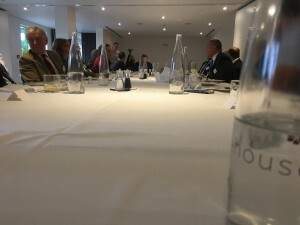 The Tendring Business Leaders Association (TBLA), founded and hosted by Clacton and Colchester-based businesses, Thompson Smith and Puxon Solicitors and Jamesons Accountants, met for lunch on Thursday 20 October 2016 at the Lifehouse Hotel and Spa in Thorpe-le-Soken. 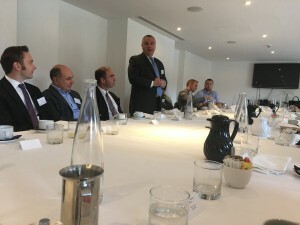 Guests at the meeting heard all about Blue Abyss Diving Ltd, the brainchild of ex-forces diving instructor and technology consultant John Vickers. John explained his plans for this ground-breaking project which have been taking shape since September 2014. Blue Abyss will be a unique aquatic centre, which will be located on a 6-acre site at the University of Essex’s Knowledge Gateway Innovation Park in Colchester, and will house the largest and deepest indoor pool of its kind globally. The facility will also house a 120 bed hotel and it is intended that it will be open towards the end of 2018 and launch officially in early 2019. Blue Abyss (the pool) is designed to cater for space environment simulation on the one hand to free diving on the other, with a huge variety of applications in between; John’s aim is for the facility to become Europe’s premier marine and space extreme environment research, development and training centre. John explained to guests how water is the only medium on earth capable of emulating the feeling of being in space and that the Blue Abyss pool will achieve this, whilst also being able to simulate deep sea conditions, all within a safe and controlled environment. John shared some interesting facts and figures about the pool, which will measure 50m x 40m on the surface and 50m at its deepest point. It will contain 41,000m3 of water and will exceed all other facilities in existence both in terms of volume and depth. The pool will have several entrance points and feature multi-stepped depths to accommodate a variety of activities and simultaneous use, leading down to the 50m shaft. 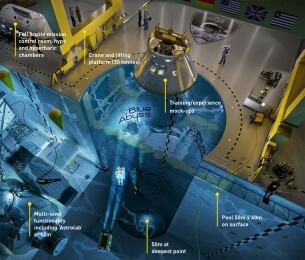 On one side of the pool, a large table-like area at 12m will be able to house, for example, a mock section of the International Space Station for astronaut training. 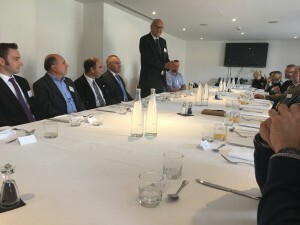 The group enjoyed an excellent meal provided by the Lifehouse and Thompson Smith and Puxon Finance Director Sharon Auton closed the meeting and thanked John Vickers for his excellent and informative talk. 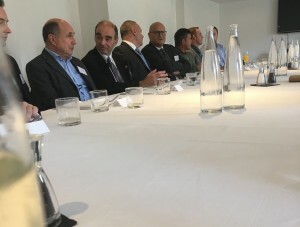 For more information about the Tendring Business Leaders Association please contact either Nicola Crisell, nicola.crisell@tsplegal.com or Christine Brown, christine@jamesons.net.